Locally owned and operated by Jackson Twa, Western Wastewater Systems is located in Saanich, B.C. We service Southern Vancouver Island, including: all of Greater Victoria, Shawnigan Lake, Mill Bay and the Gulf Islands. As active members of the community our reputation is important, therefore we operate with integrity to ensure good vibes and longevity. When designing and installing systems, our goal is that they last a lifetime while returning clean water to the environment, completing the natural cycle. We offer a range of solutions for your island needs. Ask us about wastewater re-use options, including wastewater recycled to drip irrigation systems! We care about our clients! At Western Wastewater Systems, we are committed to providing high quality, reliable wastewater systems. We ensure that every installation meets the industry’s highest standards, and we use only industry and province approved materials. We will have fun while we work! 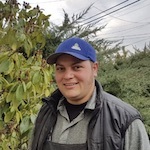 Born and raised on Saltspring Island, Jackson has lived in Victoria for almost 10 years. With over 20 years of experience in the industry, Jackson is on site & responsible for all stages of your project. He is there during the concept & planning stages with his clipboard, calculator and pencil then in the office designing your system. During construction he’s operating equipment and in the trenches. 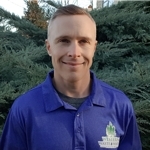 As a licensed Private Inspector & Maintenance Provider Jackson’s experience with systems in all different stages of their life helps offer a unique perspective. Currently working with home owners, builders, developers, and engineers to design, install, maintain, inspect & remediate systems for residential and commercial properties. Site evaluation and environmental impact studies for large-scale infiltration and soil-based treatment of municipal sewage and industrial wastewater. Hydrogeology studies, groundwater engineering, and aquifer protection for municipal and industrial water supply wells. Site evaluation, hydrogeology studies, and design and construction services for small onsite sewage systems. Site evaluation and design for stormwater infiltration and treatment using basins, trenches, and rain gardens. Soil-based treatment of wastewater and stormwater. Born & raised in Ontario, with a background in Mechanics. Mike has now been a West Coaster living in the Shawnigan Lake area for over 10 years. Mike has spent the last 10 years plumbing & operating maintenance equipment such as pipe camera’s, jetters & augers.